Endless expanses and a feeling of inexhaustible freedom. Wonderful impressions from different continents blended together in just one trip. 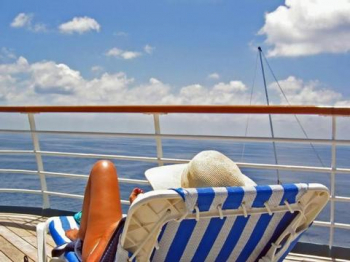 All this awaits you on a Transatlantic Cruise. The "Ocean of Atlas", as Greek mythology terms it, is the world&apos;s second-largest and busiest ocean. To the north it is bounded by the Arctic, to the north-east by Europe, to the south-east by Africa, to the south by the Antarctic, to the south-west by South America and to the north-west by North America. The best time for a Transatlantic Cruise varies according to region, but can roughly be said to be between September/October/November and May. There are numerous variations on the theme of the Transatlantic Cruise. Discover Spanish Barcelona with the life&apos;s work of Antonio Gaudi, the imposing "Sagrada Familia". Or travel the Portuguese island of Madeira. Here the historical centre of Funchal invites you to stroll around, and the typical markets spread the island&apos;s old-world charm. It&apos;s then on to the Bahamas, a veritable oasis for sun-worshippers with their powder-fine, white sandy beaches and turquoise water, and to the "Sunshine State" of Florida. Florida beckons with its huge range of tourist attractions, such as Universal Studios. Taking a boat through the Everglades National Park and a visit to the Kennedy Space Center transform this special destination into a multifaceted adventure. Take advantage of the Transatlantic Cruise to experience the passion of South America - go to Rio de Janeiro in Brazil with its breathtaking Corcovado, seat of the world-famous statue of Christ. It&apos;s then back to Africa. Walvis Bay in Namibia will tempt you with Sandwich Harbour, a freshwater lagoon nestling in an expansive landscape of sand dunes. The northern latitudes offer a further option for the Transatlantic Cruise. Imposing, ice-blue glaciers and breathtaking natural scenery will be your companions on this cruise. It&apos;s then on from the port city of Southampton in England to the capital of Iceland, Reykjavik. With its Arctic character and unusual national dishes such as fermented shark and marinated ram testicles, the city will leave behind impressions which will long remain. The trip continues to St John´s on the Canadian island of Newfoundland, where lush mountain slopes and the ice-free port paint a vivid backdrop. With its monuments to bygone ages, such as the neo-Gothic cathedral, St. John&apos;s bears witness to its history. It&apos;s then off to New York, the biggest city in the USA. A boat trip around Manhattan with the Circle Line will show you the district in its full grandeur. Experience the amazing view from the Empire State Building, or seek refuge from the hurly-burly of the city on a stroll through Central Park.